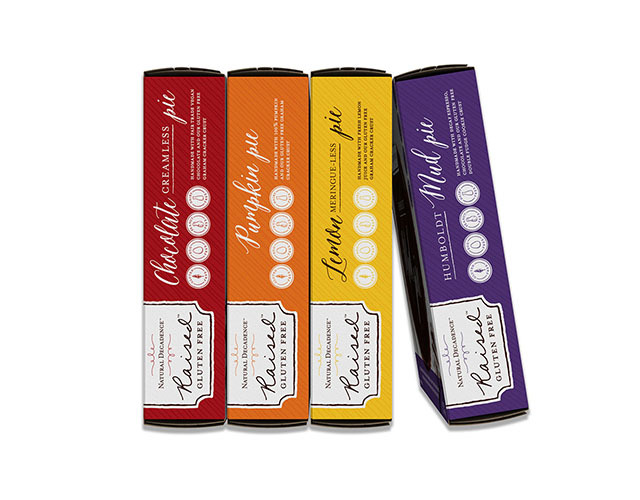 Natural Decadence introduces Raised Gluten Free | CREATIVE RETAIL PACKAGING, INC.
Natural Decadence is an allergy friendly bakery and catering company, whose mission is to “please every palate” with their delicious gluten free baked goods. While Humboldt County, CA is home, their flavorful goods are available at Whole Foods and natural grocery stores nation-wide. 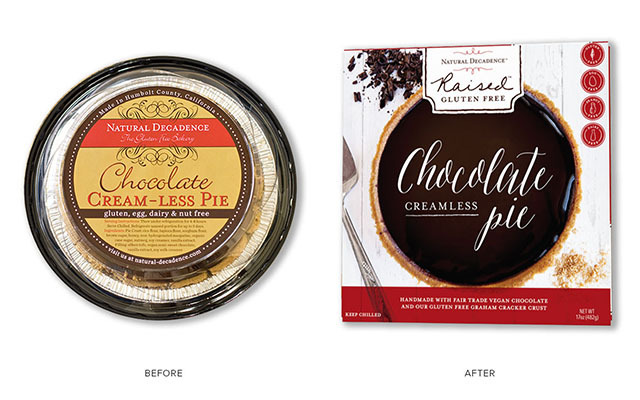 As a solution to accommodate the company’s growth, owners Rosa and Milia contacted CRP to develop a brand identity and packaging design for their retail-facing sub-brand Raised Gluten Free. 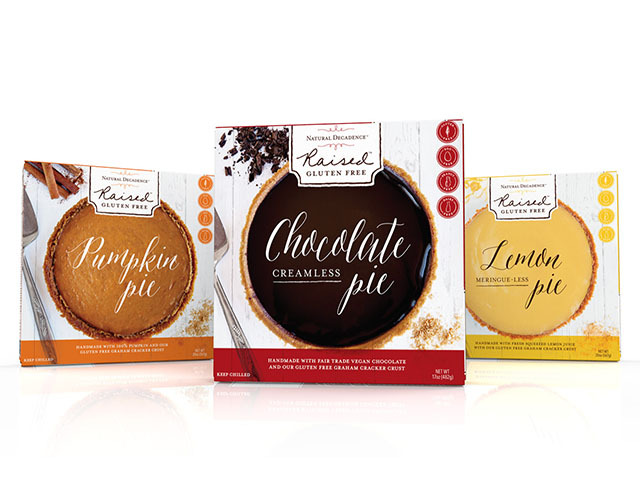 Inspired by the lighthearted personality of the owners and their artisanal approach to baking, CRP hand-illustrated a custom wordmark and iconography system with the intent of appealing to two primary consumers: health-conscious young professionals and mothers with children who have food allergies. For each target market, CRP developed a unique set of guidelines. These elements set the foundation for the packaging design, which features photography by renowned lifestyle photographer Amy Kumler. Each element serves a unique purpose to help shoppers easily identify product lines, flavor profiles, and, most importantly, allergen information. The end result is an identity system and packaging program that is smart, flexible, and embodies the cheerful, handcrafted roots of the Natural Decadence brand.